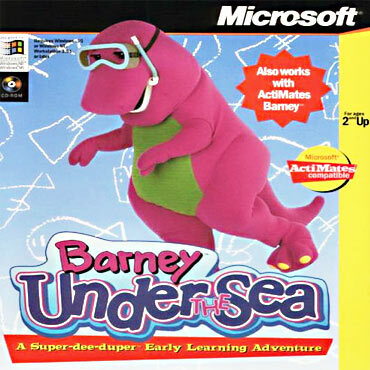 Barney Under The Sea is an educational title aimed at pre-school children aged two and upwards. 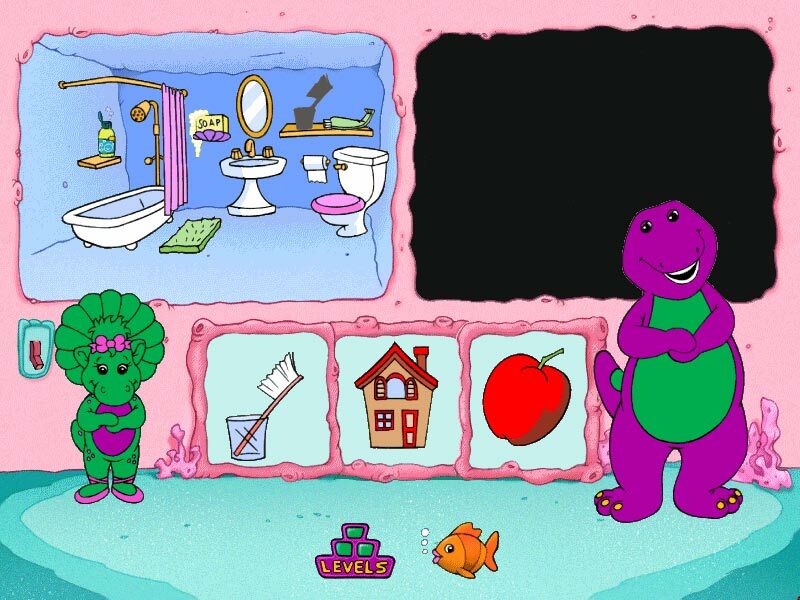 It was compatible with the Barney ActiMate toy via a device known as a PC Pack, for example covering the toy's eyes caused both the toy and the in-game character to play peek-a-boo while squeezing the toy's middle toe caused both Barney's to sing a song related to the current game. All games can be played in explorer mode where there are no right or wrong answers, this is designed to encourage children to play and experiment. When they do start playing 'seriously' all games have three levels of difficulty which can be quite challenging. 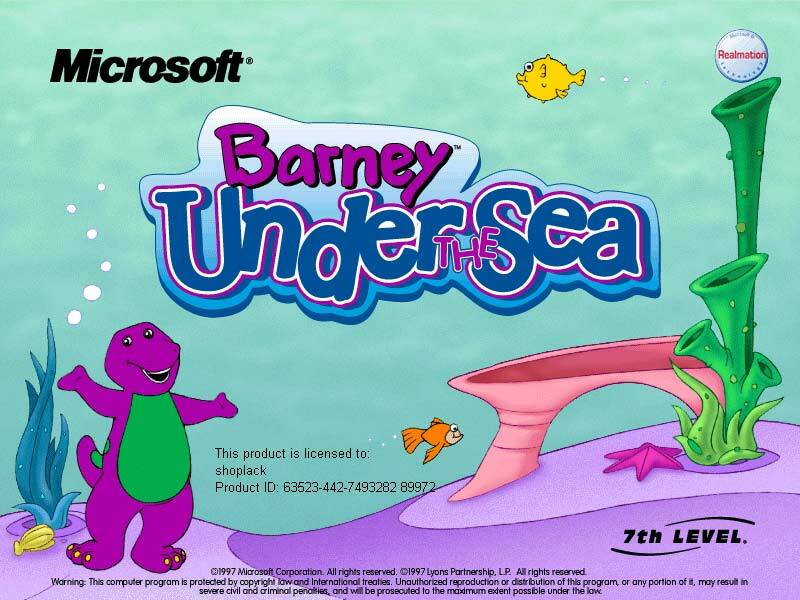 For example at level three in Hootin' Annie's Undersea Cave the player is shown a night scene where only the creatures eyes are visible, they must identify the whale, seal, etc by the sound they make when the mouse rolls over them.